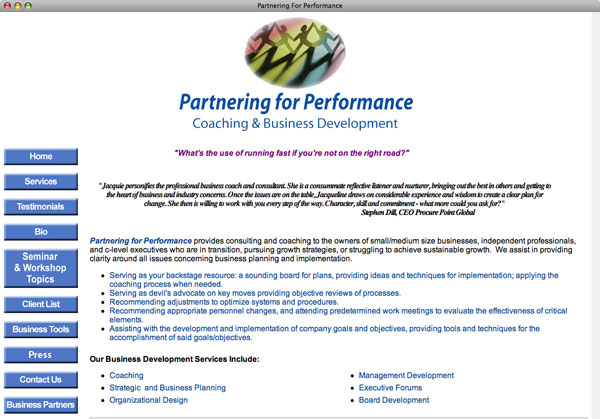 Jacquie Collins of Partnering for Performance offers small business coaching. Her old website held her back – she wanted to be able to update her website fairly often, on her own, with no limitations. 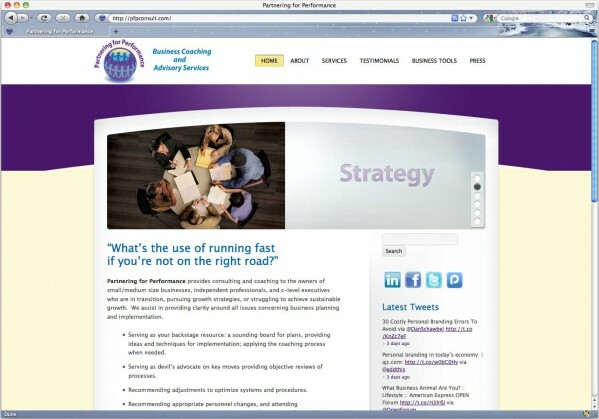 Her new, fresh website presents her as a professional.